It had a nice location. The room had a very comfortable temperature. 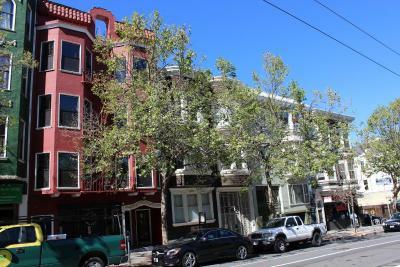 No breakfast suppled - the hotel is in a good location for The Castro and Mission areas. ALso positioned well with good transport connections for getting around town and to/from the airport. Location is good. A few blocks from gay Ground Zero (Castro and Market St.). Great location. 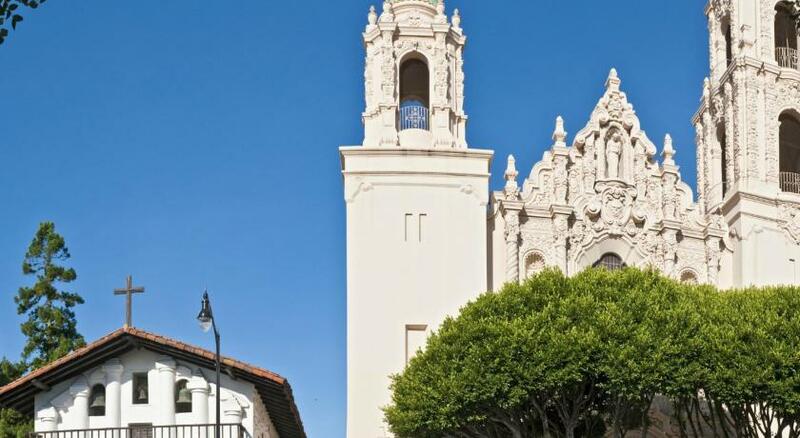 A minute walk from MUNI Metro Church Station. I stayed in a room that has been remodeled and they have done a really nice job. 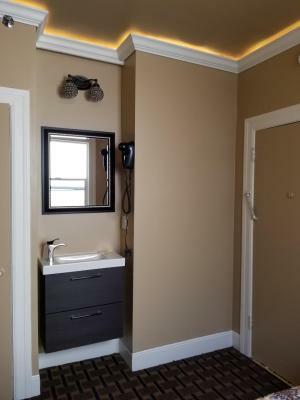 Rain shower, nice lighting, comfortable space. That value to the money is almost incomparable in the neighborhood. Hotel is located in a very convenient location. Next to the tram station. Stuff is friendly. Room is small but clean. The location was perfect since I was visiting someone in the Duboce Triangle. I have never slept better in any hotel. If I had spent much time outside of sleeping in the room, I think it would have been too small. I can't imagine sharing the room with someone, but for my purpose it was perfect. The staff were very nice and stored my luggage for me after I checked out. FYI, the bathroom and shower are shared in the hall. This wasn't an issue for me, as both were clean, but I didn't realize that until after I had booked it. 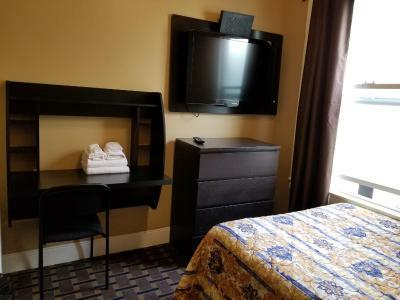 Twin Peaks Hotel This rating is a reflection of how the property compares to the industry standard when it comes to price, facilities and services available. It's based on a self-evaluation by the property. Use this rating to help choose your stay! 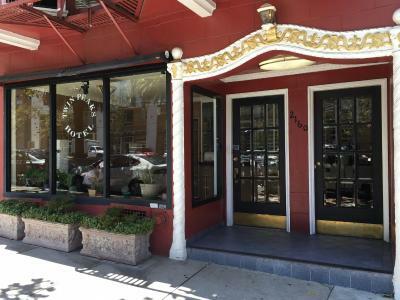 Located 15 minutes’ drive Golden Gate Park, this Castro District hotel is 2.6 mi from Union Square. Free Wi-Fi is provided in all rooms. 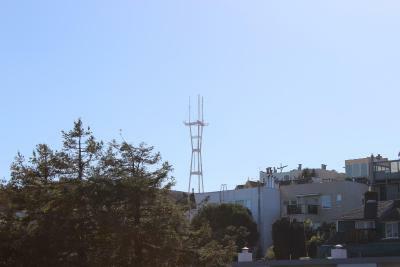 A city view and satellite TV are provided at Twin Peaks Hotel. 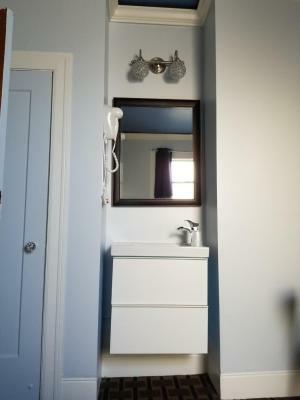 Select rooms provide an private bathroom with a hairdryer. Luggage storage is provided. 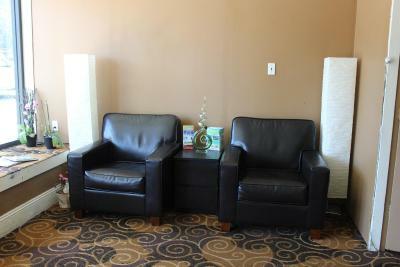 A 24-hour reception is provided at Hotel Twin Peaks San Francisco. 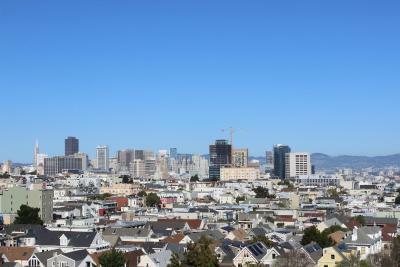 Moscone Center is 10 minutes drive away from Twin Peaks Hotel. San Francisco International Airport to 20 minutes’ drive away. 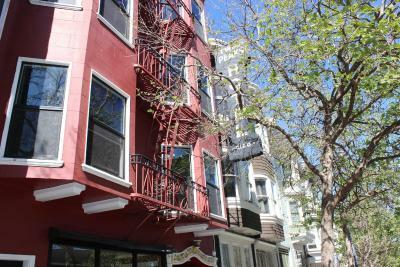 The Castro is a great choice for travelers interested in convenient public transportation, atmosphere and architecture. 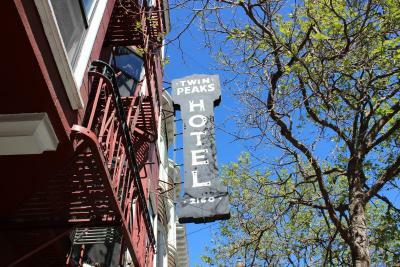 When would you like to stay at Twin Peaks Hotel? This room provides satellite TV and free Wi-Fi. Access to a shared bathroom is provided. 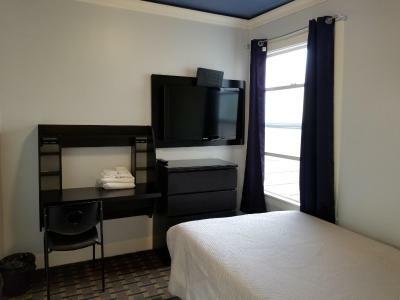 Featuring a private bathroom, this room provides satellite TV and free Wi-Fi. Hotel surroundings – This neighborhood is a great choice for travelers interested in convenient public transportation, atmosphere and architecture – Check location Great location - show map Guests loved walking around the neighborhood! House Rules Twin Peaks Hotel takes special requests – add in the next step! Twin Peaks Hotel accepts these cards and reserves the right to temporarily hold an amount prior to arrival. They were renovating but it wasn't bad or disruptive to my stay. I had a room with shared bath/shower. The down side was being in the room beside the toilet room. This was an issue because you constantly here others, especially on weekends. The room was of a high standard and a fine size for one. The room was tidied and cleaned every day which was great. Staff were friendly and helpful. 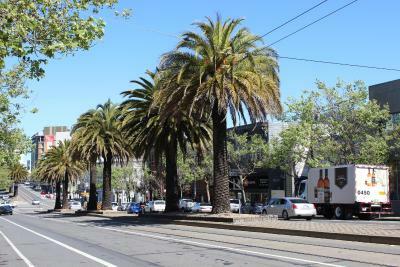 The area was perfect location to the Castro area, good restaurants and bars, and super connections to transit. 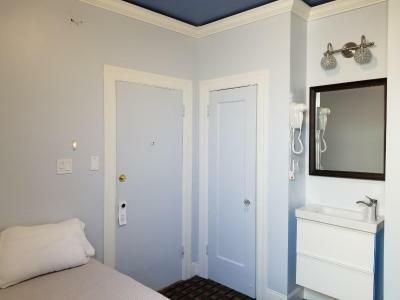 Walls are thin, if you get a room beside one of the shared bathrooms you will hear people going in/out at anytime of day/night. I had requested a quiet room, and it drove me crazy until the moved me. Also, I had to complain about an interesting character who went to the bathroom and screamed at the top of his lungs. He did this about 10 times a day as far as I could tell. Even in my new room at the end of the corridor away from the bathrooms I could hear him. Rooms had enough space, and the beds were clean. 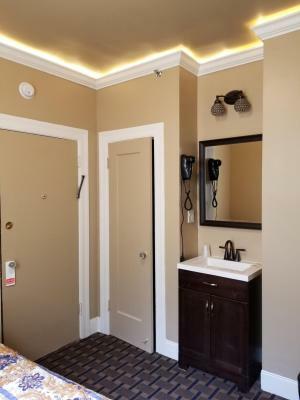 Bathrooms also clean and were regularly cleaned. Staff were helpful and knowledgeable. The hotel is well positioned near a metro station and also in walking distance of many nice cafes and restaurants. There is a Wallgreens across the street where you can buy protein bars and water for emergencies. 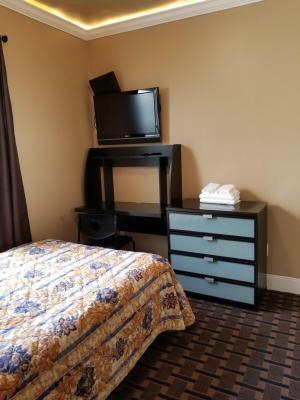 It's great for a budget hotel! The shared bathroom idea. No AC which was not indicated anywhere in the ads or reviews. And because you have to open the windows, you can hear everyone’s snore or moans. I was in this hotel one week ago and I enjoyed the room with a private bathroom; they asked me if I would mind to change my resrvation for this week and to take a room with shared bathroom. I accepted. The price of course was lower but the quality was also much lower. I had expected to be in a room overlooking Market Street, but they looked like they were under construction. They were conducting some construction upstairs, and began work early for a Saturday. There was no chair. The window faced another window. It was very small for the price. Some fixtures could be revamped, like broken door knobs. The bedroom is a little small but the space is well used. There was a noticeable smell of cooked curry/Indian style food in the reception/entranec area. Not so much to offend but enough to warrant a comment! Old carpet smell. Rooms are extremely small. A few facilities could exist to improve the use of small spaces such as a shelf at the bathroom, hook inside the bedroom for towels, etc. Good location. Most of the times, the staff was nice. Sink, window and doorhandle were broken. Room was clean but airless and dank.